Grilling fresh vegetables brings out their natural colors and flavors without cooking them until they are limp. 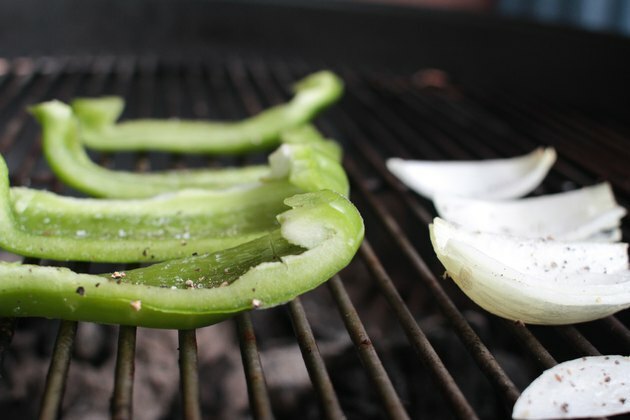 Peppers and onions are perfect candidates for grilling because they are firm, and can be cut and enjoyed in pieces large enough not to fall through the grates on your grilling rack. Grilled fresh vegetables don’t take long to cook and they taste best hot and fresh off the grill, so figure out the timing of your other foods before you put them on the heat. Wash your peppers thoroughly and set them in a colander to drain. Peel the onions and cut off the ends. Slice the peppers and onions in slices that are at least one-quarter inch thick, or one-half inch thick if you are using an indoor double-sided grill. 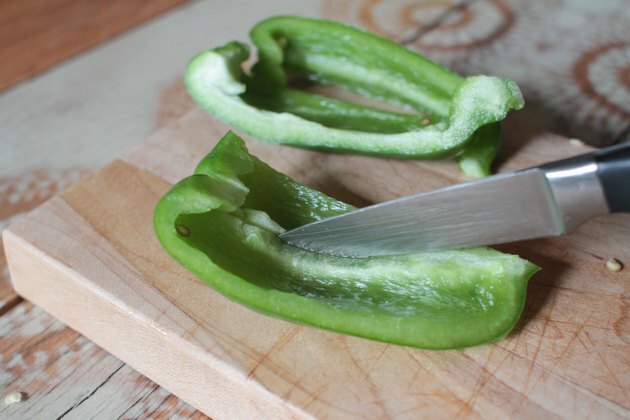 Slicing peppers in large pieces along their length, rather than in rings, works best. Spray your grill with nonstick cooking spray and turn it on to medium if you are cooking the peppers and onions alone. 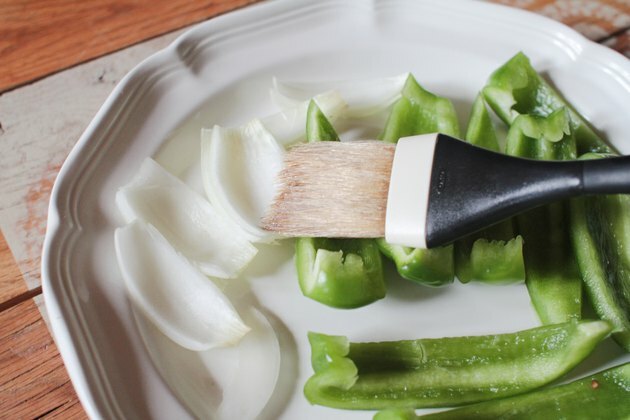 Brush the peppers and onions with olive oil and sprinkle them very lightly with cracked pepper, coarse salt, and any other seasonings you may prefer. Place the peppers and onions on the grill, oil side up. 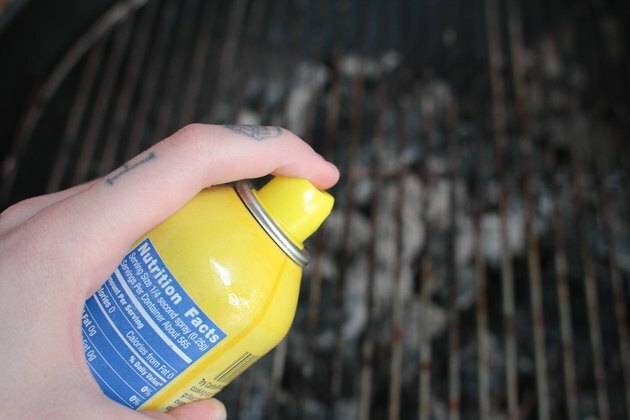 If using an outdoor grill, place them away from direct heat. Let them cook for six to seven minutes and then turn them with tongs. Follow the manufacturer’s recommendations for indoor double-sided grills from this step forward. 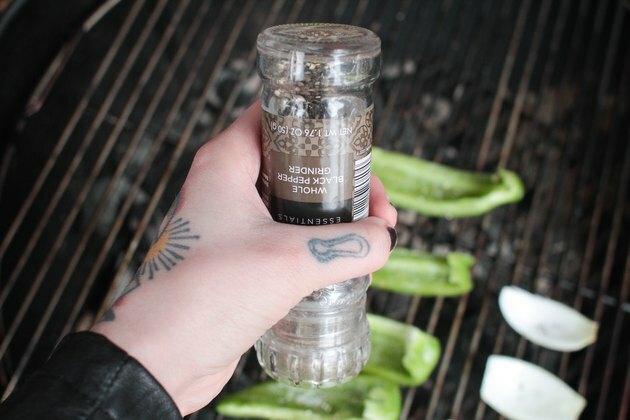 Brush the tops of the peppers and onions with olive oil and sprinkle them with cracked pepper and coarse salt, and continue grilling them for another six to seven minutes, or until they are firm, but soft, and you can clearly smell them. 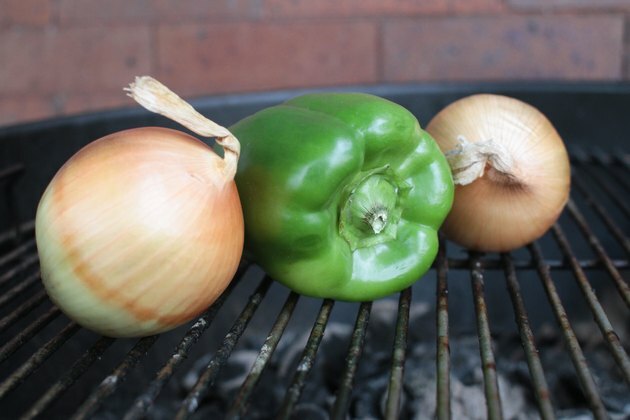 Place onions and peppers on a double thickness of aluminum foil to keep them from falling through the grill grate. 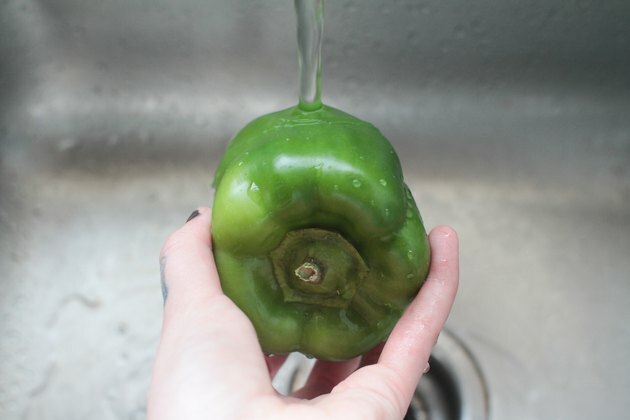 Never serve fresh produce without washing it.